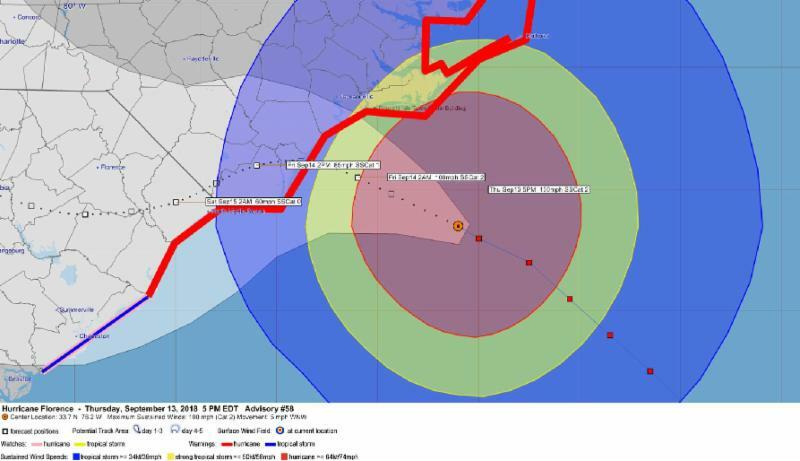 As of 5 pm, the center of Hurricane Florence is located approximately 80 miles south-southeast of Emerald Isle. The Category 2 storm currently has maximum winds of 100 mph and is moving west-northwest at 5 mph. In Emerald Isle, winds are generally steady in the 30 - 40 mph range, with gusts in the 60 mph+ range. Emerald Isle has received about 2 inches of rain thus far from Florence. Florence is currently forecast to make landfall near Wrightsville Beach tomorrow morning around 8 am with winds of 90 mph. The projected maximum sustained winds continue to decrease with each forecast, and we are hopeful that Florence will continue to weaken as it moves closer to Emerald Isle. The eye of Florence is still forecast to pass approximately 40 miles due south of Emerald Isle at approximately midnight tonight. 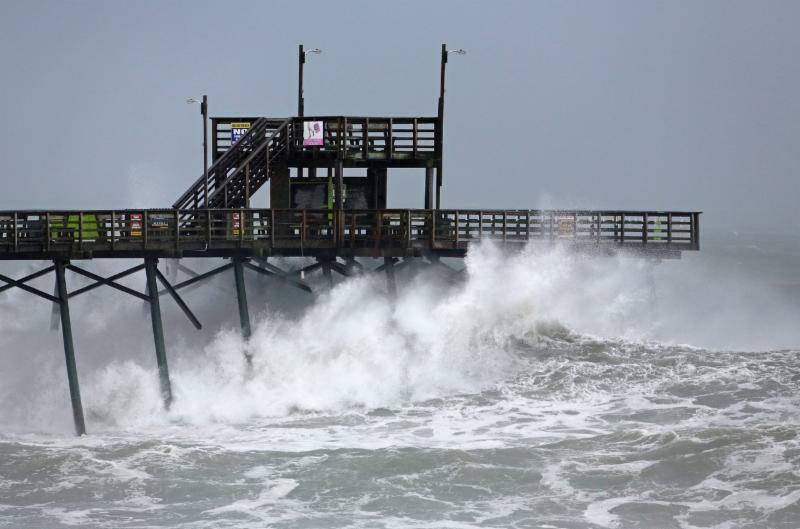 Tropical storm force winds are currently occurring in Emerald Isle, and are expected to continue into Saturday morning. Hurricane force winds are expected to begin in Emerald Isle around 7 pm this evening, and continue into early Friday afternoon. Fortunately, there are no reports of significant damage to structures thus far, with a few trees down here and there. 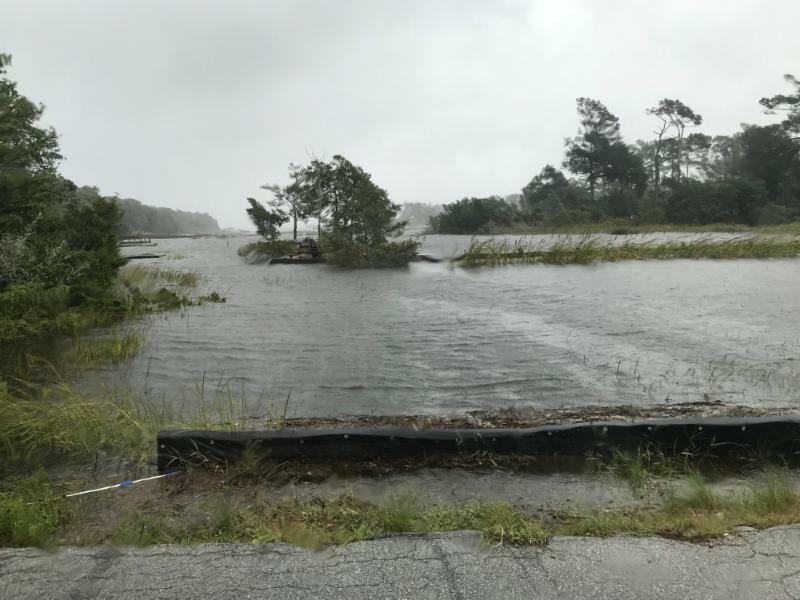 The water levels on the beach and in Bogue Sound are very high. There are no known dune breaches, but the ocean is covering the flat beach strand. 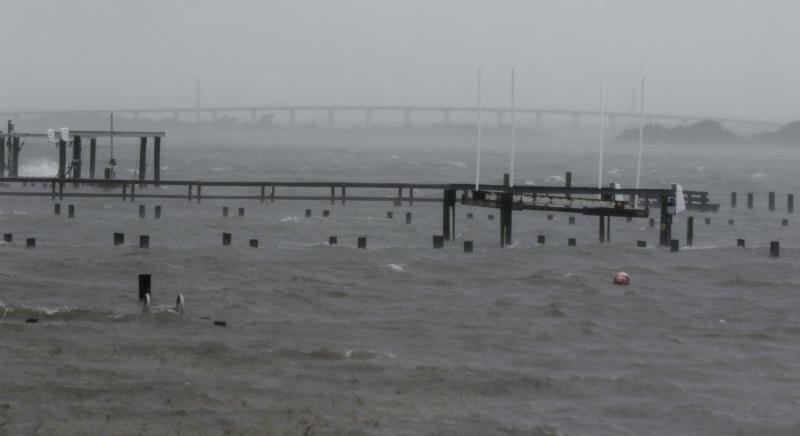 Bogue Sound has risen into some low lying soundfront areas. Archers Creek is rising, and is nearly over Lee Avenue. We expect even higher water levels as the center of Florence passes closer to Emerald Isle, and Florence's closest position will likely occur very near high tide tonight (11:21 pm). Carteret-Craven Electric Cooperative offers a real-time map of power outages in Carteret County, and it can be viewed at http://outage.carteretcraven.coop/ . As of 5 pm, according to the map, it appears that more than 2/3 of the homes in Emerald Isle are without power. Carteret-Craven crews will be working hard after the storm to restore power as quickly as possible.